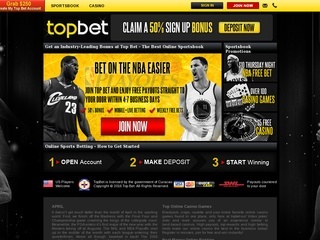 Top Bet is an online bookmaker, launched back in 2011. For the few years they have been on-line, they have gained the trust of online betting enthusiasts all over the US. The website has been licensed by the government of Curacao, under the name of Orient Power Holdings LTD. TopBet base their operations in the British Virgin Islands. This online betting website puts its focus mainly on US customers, but they accept customers from around the world, too. Take note, though, that local online bookies near your area might be more suitable for you. Top Bet is one of the top 25000 most visited websites in the country, with over 73% of the visitors from the United States. The online bookie is very promising and worth trying since the team managed to build a solid reputation in just four years of lifetime. This accomplishment is something not many of the bookmakers manage to achieve. Despite the fact that the platform is relatively new, TopBet has already made a name of itself in the bookmaking industry. A lot of new users have been making an account that shows the company is on its right way. Top Bet is one of the online bookmakers who concentrate on sports bets. And they are doing it right. The bookie offers the options of betting on football, tennis, mixed martial arts, ice hockey, motor racing, cricket, golf, basketball, baseball, boxing, American football and rugby. Aside from the general sports bets, players can wager their money on more specific events like Nascar, Fifa Props, UEFA championships and various entertainment events, like the Emmy Awards and the U.S. Presidential Election. Top Bet offers a variety of Casino Games. 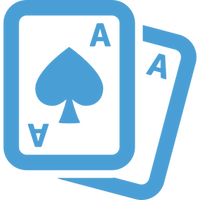 There is Poker, Black Jack, Roulette and Slots.The variety of these games is not as good as the sportsbook, but you will still have the ability to play most of the popular ones. A plethora of promotions get offered at all times, so you will get a bang for your buck if you decide to test this online booking platform. Sadly, TopBet currently does not offer Poker, and they have no plans of doing so shortly. The minimum bet is as low as 1 USD, and the maximum bet is limited to 2000 USD. This rule can seem to limit at first, and it might be problematic for the high rollers, but it is great for the recreational players all over the United States. The website also offers live betting, for those who like to be in the middle of the action. This bookmaker does not offer a live streaming service. Top Bet offers an interesting online booking experience. They have the option to “Parlay” – mix several bets in one ticket and get progressively increasing payout rates. For example, if you start with two bets, the payout increases to 2.6 to 1. For three bets, the payout becomes 6 to 1. The limit is 12 events/matches in one ticket with the whopping payout of 1800 to 1. This option is a godsend for all the great analysts out there – it allows for extremely high winnings, even if the bet amount is not that high. The betting margin varies between sports – Soccer with 10%, Tennis with 5.6%, Ice hockey with 4.1%, Basketball with 3.7%, Baseball with 2.6% and American football with 3.6%. The overall betting margin is 4.9%. As expected, Top Bet uses SSL encryption for all of the data coming and going from their website. Your data and money will be safe with this online bookmaker. Customer support, if you ever need it, is top-notch. Top Bet offers a free hotline, where you can speak with a representative and get your questions answered in no time. The line is available 24/7. The website still lacks a live chat option, but they are probably working on it and will have it done soon. Aside from the phone number, Top Bet has various e-mail addresses – one for customer support, one for affiliate opportunities and one for media inquiries, advertising opportunities and software or product pitches. 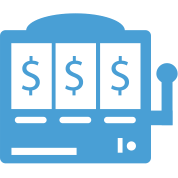 Depositing and withdrawing winnings is an integral part of any online betting experience. Top Bet takes care of all monetary interactions with extreme care. Players can deposit with various personal credit cards, as well as the Western Union and gift cards. Reloadable and non-reloadable gift cards must be active to use international purchases on this website. You can complete withdrawal operations with a credit card or a cheque. Each month, you get a free courier delivery for one cheque. All subsequent deliveries are subject to a fee. Withdrawing money via a cheque usually takes from 5-6 days to a couple of weeks. All in all, you can expect to receive your money in a very comfortable time frame. The Top Bet online betting website greets new players with a nice welcome bonus. The extra consists of 50% of the initial deposit, up to a maximum of $250 with turnover requirement of 5 times. 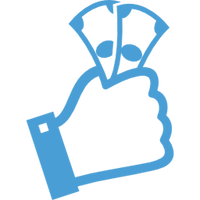 Any bonus money you receive are labeled Free Money and are to be used at a 1:1 ratio with real money in any bet. You cannot withdraw free money, but the winnings you receive are very real. This is not the last of the bonuses, though. Any additional reload you deposit nets you a 10% bonus, up to $100 every time. If you are a regular on Top Bet, you might get an invitation for the special reload bonuses – 20% and 25%. There is also a loyalty program in place. Every time you bet on sports events or play in the casino, you will earn comp points. These points can be traded for various rewards, including cash. Those are the permanent bonuses Top Bet’s players receive. The website offers various other promotions and special offers on regular timed intervals. Do check them out!